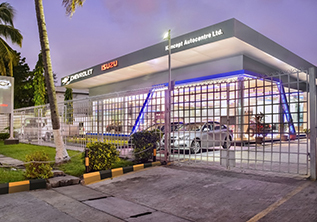 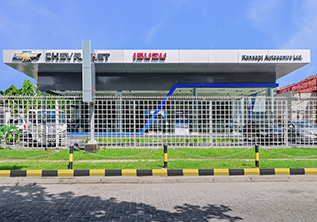 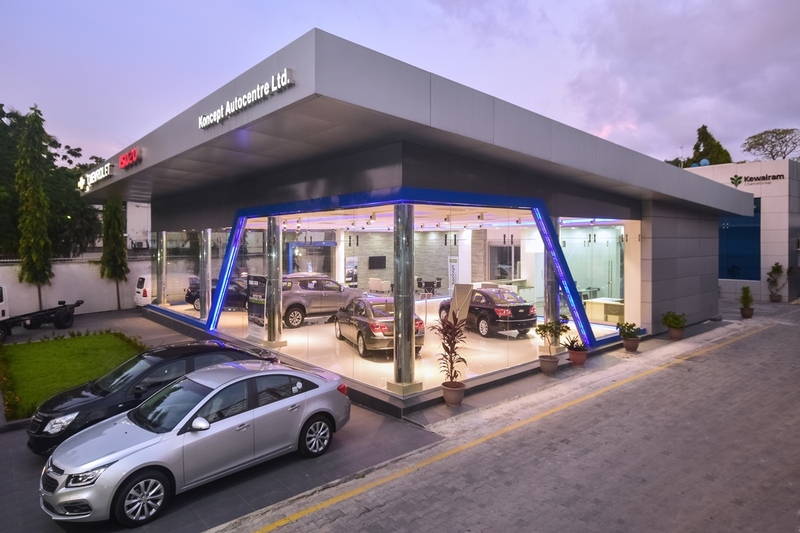 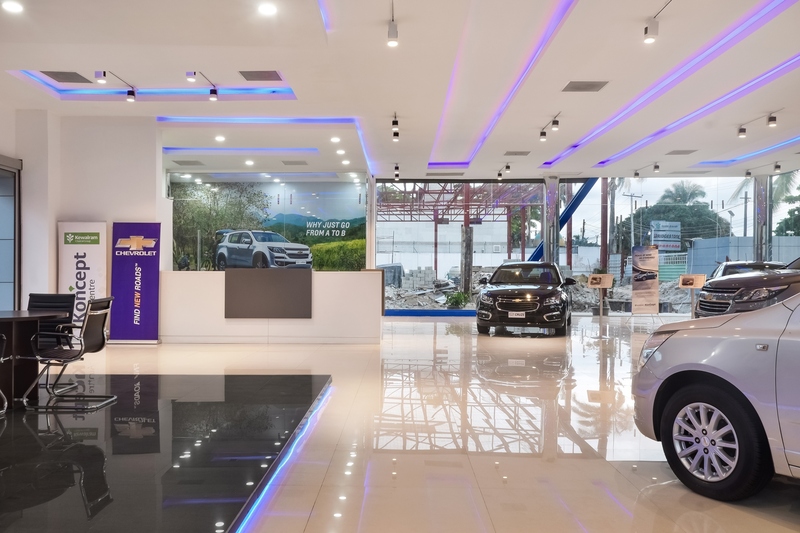 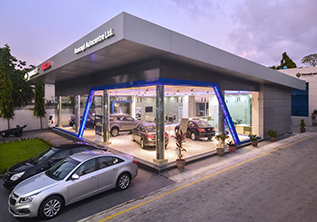 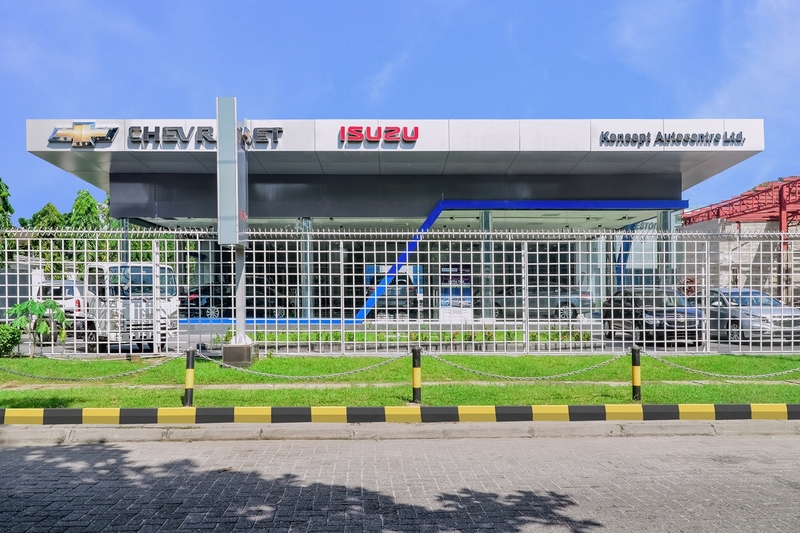 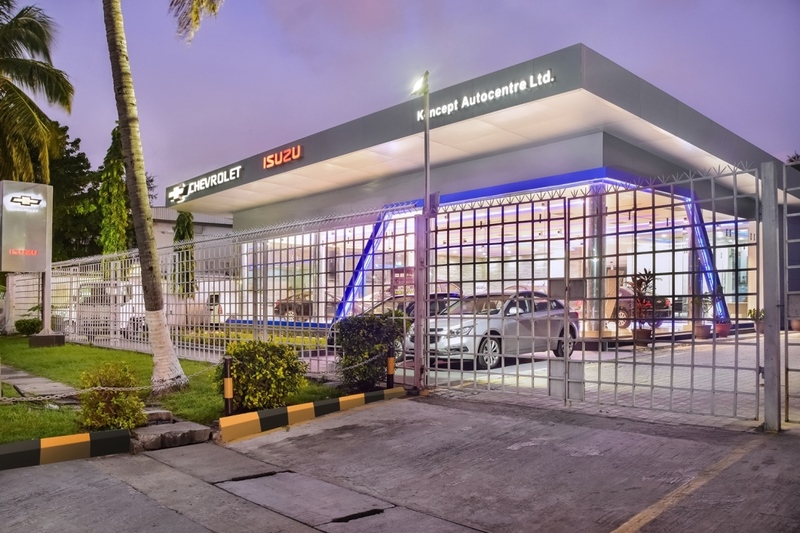 The Chevrolet automobile showroom is characterized by a simple geometry that combines clear glass with grey Aluminum composite panels. 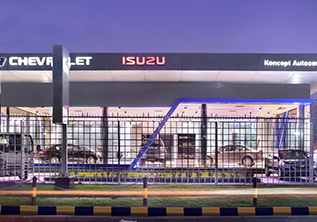 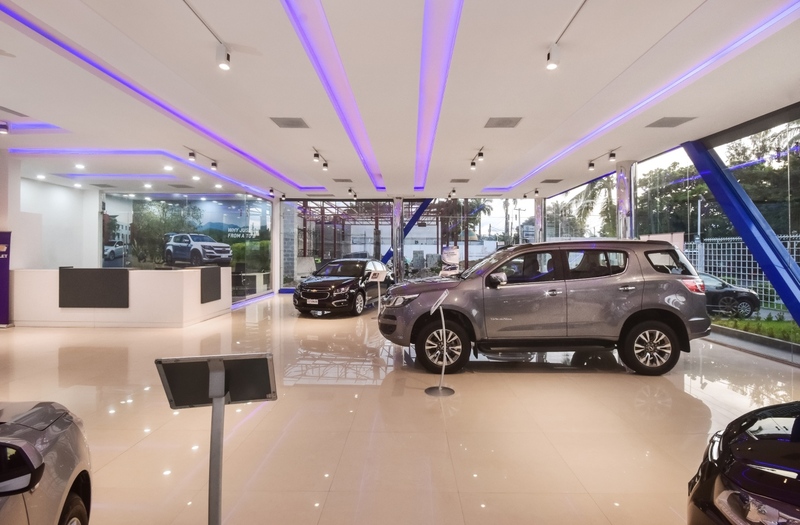 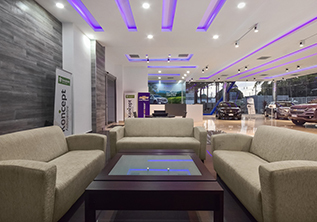 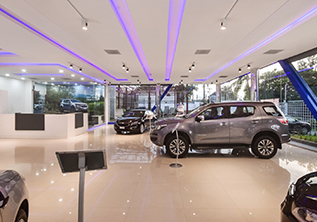 The building form encloses 310sqm of interior space designed to showcase premium brands of the America automobile giants. 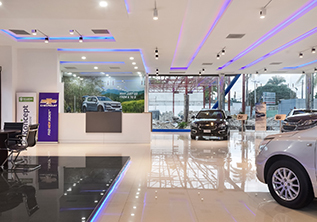 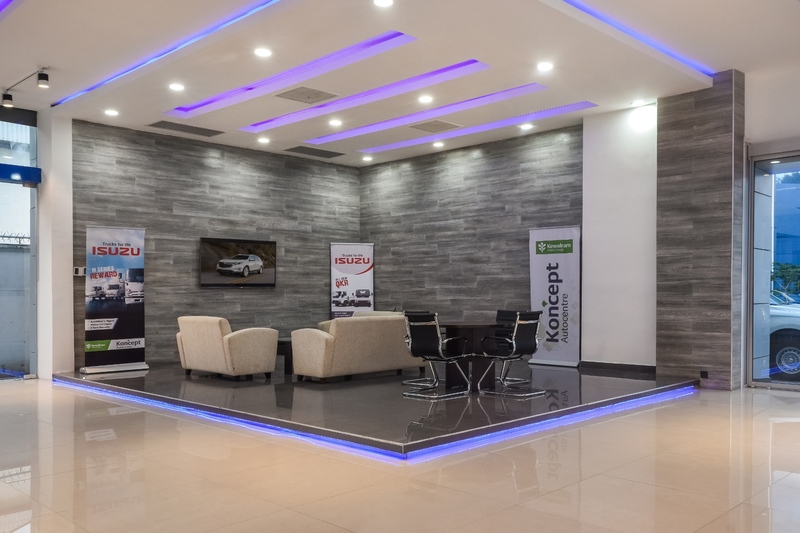 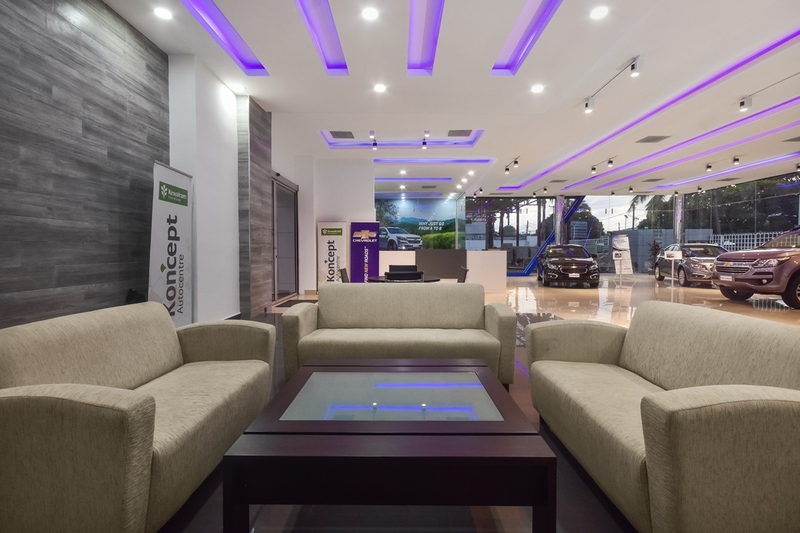 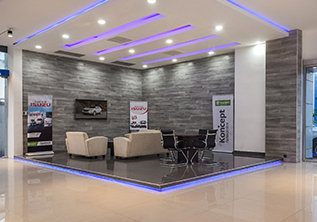 The architecture of its interior combines the luxury, openness and fluidity synonymous with the Chevrolet brand. 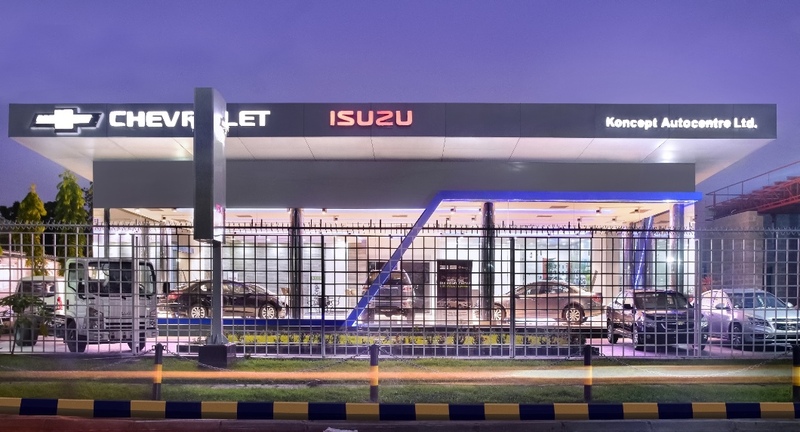 The interior and exterior ambient lighting enhances the building’s transparency beyond day time, leveraging on and also complimenting the bustling night life of it surroundings.